Split7 seats use gripper material on the sides and top and have madgrip ribs. 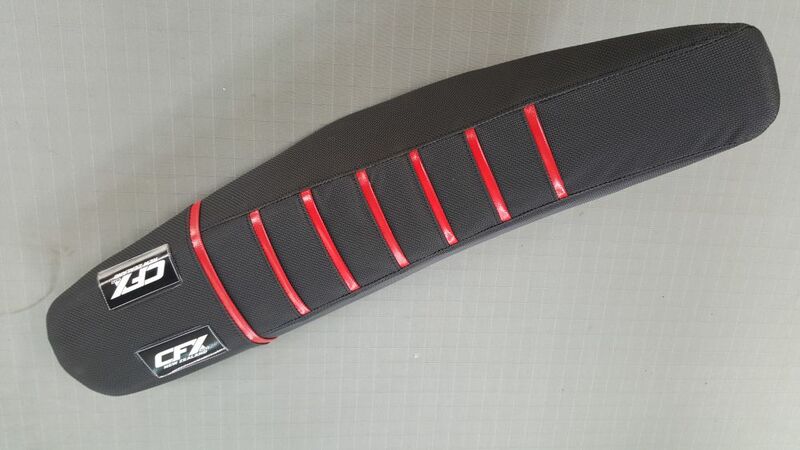 The center panel is in one piece which give a smooth line and allows for advertising or promotion on the side.The gripper top and madgrip ribs combination allows the rider maximum grip for control and confidence required at the top level. 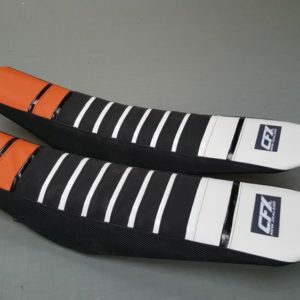 The madgrip ribs use a unique material which is robust and harder wearing than all the other ribs on the market today. 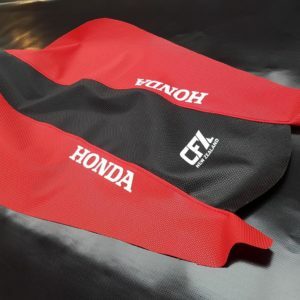 Madgrip ribs allows the rider maximum grip from sliding back under acceleration which give the rider control and confidence and allows the rider to easily move forward and re positing when required. 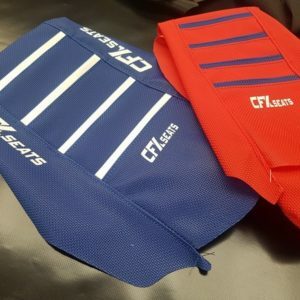 The gripper material is hard wearing and durable, for extra protection CFX TCT protection can be added to the knee area to reduce wear or add extra grip.